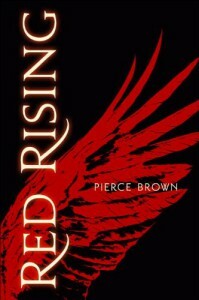 Red Rising is about Darrow, who works in a miner on Mars. The Reds are told that they are the pioneers of planet and their mining will allow the planet to be terraformed and allow the overpopulated Earth some relief. When this happens, the Reds will be highly praised and regarded in society. Or so they are told. Darrow soon learns that the planet has been colonized for centuries and the Reds are considered slaves to keep mining the Helium 3 that allows the Golds, the ruling class, to keep expanding and terraforming more planets. I did like this book, but about a third of the way in, it turns to a hunger games/divergent/percy jackson mashup where warring houses based on Roman deities battle among each other to come out on top. I plan to keep reading the series and am optimistic of where it will go, but I think this one will stay a 3-3.5 for me.